From the beginning, we’ve billed The Night In Question as a “Classic Sabbat” game. When I started this project, that seemed like a fairly straightforward statement – we would be playing the Sabbat as my friends and I remembered them, playing Vampire: The Masquerade for the first time in the late 1990s. Then we started researching, and we discovered that the Sabbat are likely the most modified, frequently rewritten and retroactively changed aspect of Vampire: The Masquerade. Perhaps in the entire World of Darkness. So, the question becomes, which “Classic Sabbat” are we going to play? And where did all this confusion and changes come from in the first place? Well, let’s start by talking about how we got here in the first place. Writer’s Note: The history of the World of Darkness’ development is vast. If you spot a missing piece of the puzzle or an inaccuracy, let us know! We’d love to learn more. 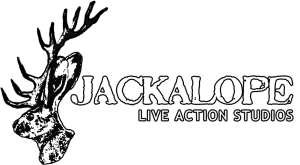 Contact us at info@jackalope-larp.com. 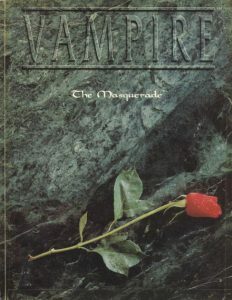 The First Edition of Vampire: The Masquerade says almost nothing about the Sabbat. Their commitment to monstrosity and their reveling in their natures is outlined. Some things said in the first edition continue onward, while others are never mentioned again. The Lasombra and Tzimisce are first mentioned, but have no history or rules defined. A version of the Creation Rites is first mentioned in First Edition but involves embracing a Sabbat by mixing the blood of the entire pack then burying them. Portrayed mostly as a vicious death cult that does little more than hunt the player characters to diablerize them, the Sabbat are purely antagonists with little defined about them. There are some ideas in the First Edition which are completely at odds with later versions – such as The Anarch Cookbook saying the Sabbat and the Anarchs regularly ally with each other, with the Sabbat providing fighting troops against the Camarilla. 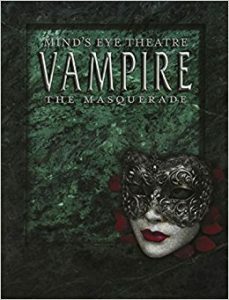 When the Second Edition of Vampire: The Masquerade is published in 1992, White Wolf chooses to make the first supplement dedicated to enriching and expanding on this villainous sect of vampires – The Players Guide to the Sabbat. This book set the groundwork of all that was to come. We first learn of the Sabbat’s endless war against the Antediluvians and their view of the Camarilla as the tool of those ancient vampires that must be destroyed. The Sabbat is depicted as anarchic but extremely dangerous, obsessed with a concept of utter freedom for both each vampire and their Beast, and most Sabbat are said to be on Paths of Enlightenment, a concept first introduced here as well. Most of the ritae are first expounded on in this book, and the Lasombra and Tzimisce are first given a full treatment. Shortly afterward, White Wolf released the Storytellers Handbook to the Sabbat. There are hints at later developments, such as the Tzimisce discipline Vicissitude being a disease. When present, the politics of the Sabbat are simplistic and more akin murderous street gangs vying for territory or ambitiously trying to take over turf in new cities, rather than world-bending machinations that are shown in later books. I personally love this cover. It says everything you need to know about the sect. Besides their war against the Camarilla, the main antagonist for the Sabbat in this version are Infernalists who move among them, serving and worshipping demons. These profoundly evil vampires serve as a counterweight that turns the Sabbat into dark anti-heroes, brutally honest about their nature and valuing freedom above all, who despise both the Camarilla which seeks to oppress them and the Infernalists who enslave their souls in exchange for power. There are hints of the Sabbat’s later religious tone – most Sabbat believe Caine himself founded their sect, but Caine is more of a hero than a god to them. To these Sabbat, Caine is the ultimate vampiric hero who’s struggles are to be learned from and wisdom are to be emulated, not a vampiric messiah who must be worshipped. Ultimately, this Sabbat is my favorite. The Sabbat is the anti-thesis to the Camarilla, not a reflection. Their bestial chaos and street punk honest monstrosity stands in contrast to the Camarilla’s shadowy deceitful games and Humanity-focused order. And it asked the question – is it better to be honest with what you are and embrace the consequences; or is it better to keep a lie going that lets you remain human and keeps others safe? We’re ignoring this. If you don’t know what it is, ask someone else. Like a bad relationship from years back, we’d just rather not talk about it and move on. Sorry, Steven – I love you forever for the Players Guide and Freak Legion, I really do. 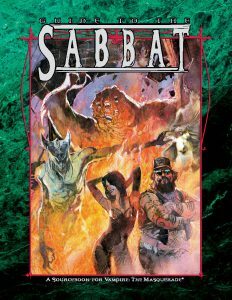 I have conflicted thoughts about the switch between the punk chaos of the Second Edition’s Sabbat and the wider scope and grander vision of the Revised Edition’s Sabbat. While I love the tone of the Second Edition far more, The Guide to the Sabbat presents the sect in the most cohesive and readable way of any supplement before or since. 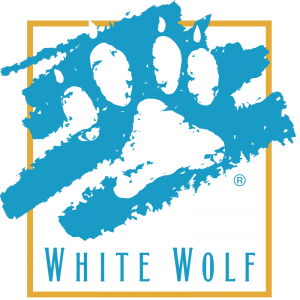 It was part of a greater move toward a unified tone and vision for the entire World of Darkness in the reworking of the setting starting in 1998. But some of the aspects I truly enjoyed began to go away, while others I love were introduced more strongly. In Revised, the Sabbat begin to take form as a dedicated organized and militant sect dedicated to the worship and reverence of Caine. I like the new emphasis on Caine – but the introduction of a more powerful hierarchy and greater over-arching plans started a move toward a paradoxical sect that was highly disciplined, fundamentalist and stratified, but preached freedom. The Creation Rites are modified to hold the burial ritual in some contempt, in favor of a more selective process outside of sieges and crusades. And the Paths fo Enlightenment are depicted as a sign of elite status, not possessed by most younger Sabbat. 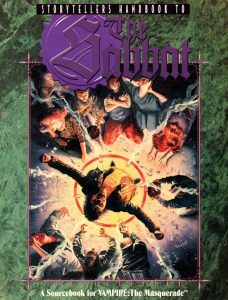 This version of the Sabbat is more compatible with a long-term chronicle featuring high-powered characters, and still has a lot of good ideas. It preserves the Sabbat as operating by violent Social Darwinism, but I miss the dirty leather-clad punk Sabbat who are dangerous due to their fearless inhumanity and willingness to step over every line in pursuit of freedom, rather than being a counter-conspiracy against the Camarilla full of dark politics. 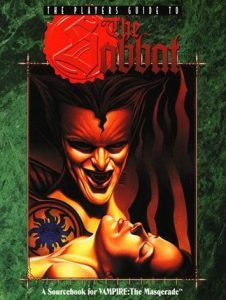 The latest tabletop edition, Vampire: 20th Anniversary Edition, mainly reiterates this take on the Sabbat. Though it does nod to a slightly more decentralized and anarchic style from earlier editions. The Sabbat get their first dedicated live action rules a year later. There are only small tweaks here and there – but there is an even greater emphasis on the militant organization and religious fanaticism of the Sabbat. 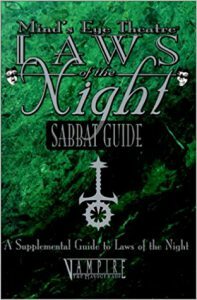 The Laws of the Night version cements the reverence for Caine as a cornerstone of the Sabbat, and emphasizes the power of groups like the Inquisition and the role of the Sabbat hierarchy in enforcing the religious tenants to control the masses, while occasionally talking passingly about freedom. The Sabbat are still monsters, but a definite shift is finally completed. The Sabbat are becoming more and more cohesive, monolithic and friendly towards large-scale play rather than perpetual fighting and warfare. We can see why they did this – no one wants to LARP a massive fight every night using rock-paper-scissors, and the rules were obviously intended to support large national chronicles such as the Camarilla Fan Club (now the Mind’s Eye Society). But at this point, we’ve lost a lot of the sect’s flavor from the original Second Edition version of the sect. 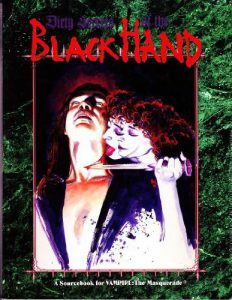 This was the last reworking of the Sabbat by the original White Wolf Publishing before the original World of Darkness was retired in favor what would eventually become the Chronicles of Darkness line. The latest variation on the Sabbat is limited to the LARP rules developed by By Night Studios. 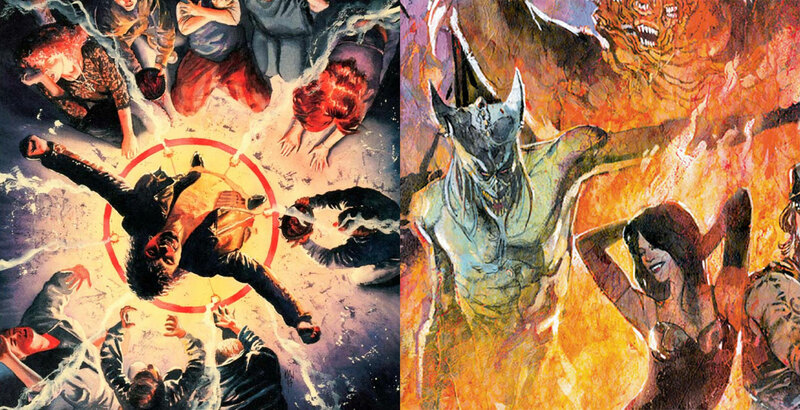 Under White Wolf’s new structure, the live action rules have their own universe and continuity – and the By Night Studios version of the Sabbat is the biggest deviation from the Players Guide’s original vision so far. In this version, the Sabbat are crippled and reeling. Their previous lack of fear toward mortals and hunters – based on their willingness to let hunters wipe out individual packs and then replenish their numbers – is gone. The Sabbat have given up on mass embraces, no longer threaten the Masquerade and a vast majority follow the Path of Humanity as hunters have wiped out the most monstrous and obvious Sabbat in the last decade. As a result, the few monstrous Sabbat are hidden and conspiring, and they have abandoned most of their traditional tactics. Many heretical ideas – such as the Path of Lilith and others – are now tolerated simply to flesh out the Sabbat’s numbers. Infernalism, which had been steadily downplayed, is rarely mentioned as a major problem within the Sabbat. Some argue that this version of the Sabbat is fundamentally a dark mirror of the Camarilla, rather than the antithesis it started out as. I have to agree with them. That’s a long strange trip. So, what kind of Sabbat are we playing? There’s few aspects of the World of Darkness that have seen such wide revisions and changes. You can see what my favorites are – obviously Second Edition, with some hints from Revised – but we’ll talk much more in Part 2. 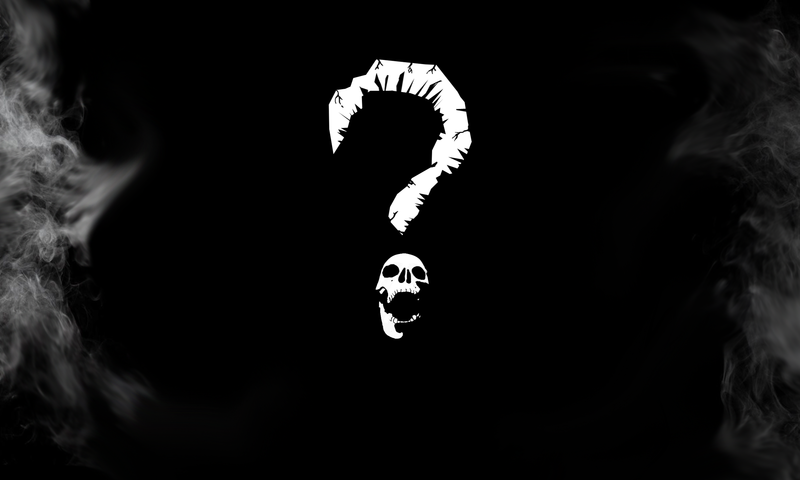 The Night In Question is an immersive one-night Vampire: The Masquerade horror LARP focusing on the fiendish vampire sect of the Sabbat. Tickets are still available here. Next PostNext Welcome Ashley Bles as Creative Director!